The listing is now in catalog lot number selling order! SHORT SELLING TIME! DON’T BE LATE! TRACTOR LOADER: Allied 895 / TRACTORS: 2009 Case IH Magnum 275; Case IH 1084; Case IH 7130; Case IH 5288 (needs work); 1968 IH, F656 / PLANTER: Case IH 1200 / COMBINE: Case IH 1660, Axial –flow / WAGONS: Brett grain 644; Parker grain 605; Kilbros gravity; Auger wagon / OTHER EQUIP. : Case IH Cultivator 527B; Case IH bean head 1020; Case IH disk; Auger; Case IH corn head; Rotary hoe; Chisel plow; Stalk cutter; Tractor duals wheels; Loftness 3pt. snowblower; Chain saw; Box blade. TERMS: Everything sells like is, as is, where is. Cash, Wire Transfer, Credit Card with additional fee, or Letter of Credit from bank to guarantee check. NO buyers' premium for ONSITE purchases buyers’ premium. For webcast purchases a buyers’ premium of 3% applies. Selling as a package: Case IH 7130 tractor, sn JJA0006748, with a Allied 895 loader. Glenco disc chisel, sn 165881. Trailer KillBro, reach is missing. King Kutter 2 6" tiller, All gear driven. OVERVIEW OF TERMS: Everything sells like is, as is, where is. Cash, Wire Transfer, Credit Card with additional fee, or Letter of Credit from bank to guarantee check. No buyers premium for onsite purchases. For webcast purchases a buyers’ premium of 3% applies. WHERE IS, UPON BUYERS OWN JUDGEMENT. "Seller disclaims all warranties, expressed or implied with the respect to the goods sold hereunder, including, without limitation all implied warranties of merchantability and fitness." 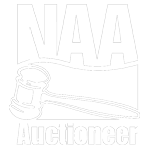 Purchaser agrees to indemnify and hold Merv E. Hilpipre Auction Company and Associates, and all Seller and Associates, harmless from any and all claims, damages, or losses of any kind, arising from the sale or use of the goods sold here under. Purchaser further agrees to pay for all purchases day of auction: Further agrees to pay a 3 % BUYERS PREMIUM APPLIES for webcast purchases. NOTE: No onsite purchases buyers premium. Remove all items per the directed removal dates. Thank You for Your Continued Support on All of Our Auctions!! All items to be removed by Saturday, April 27.